Mikhail Kokorich, the founder of Momentus, a new Y Combinator-backed propulsion technology developer for space flight, hadn’t always dreamed of going to the moon. A physicist who graduated from Russia’s top-ranked Novosibirsk University, Kokorich was a serial entrepreneur in who grew up in Siberia and made his name and his first fortunes in the years after the fall of the Soviet Union. 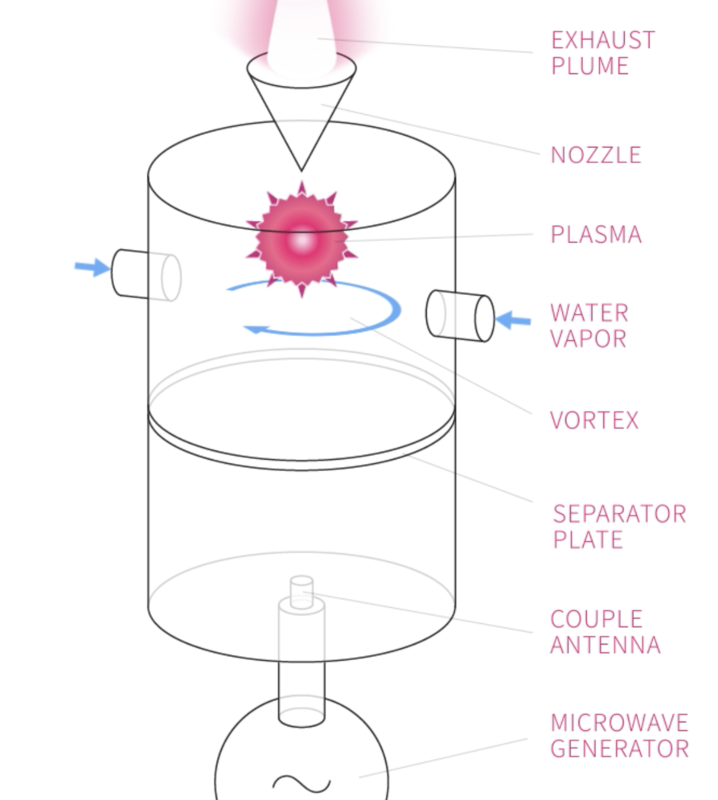 The heart of Momentus’ technology is a new propulsion system that uses water as a propellant instead of chemicals. Using water has several benefits, Kokorich says. One, it’s a fuel source that’s abundant in outer space, and it’s ultimately better and more efficient fuel for flight beyond low earth orbit. “If you move something with a chemical booster stage to the moon. Chemical propulsion is good when you need to have a very high thrust,” according to Kokorich. Once a ship gets beyond gravity’s pull, water simply works better, he says. 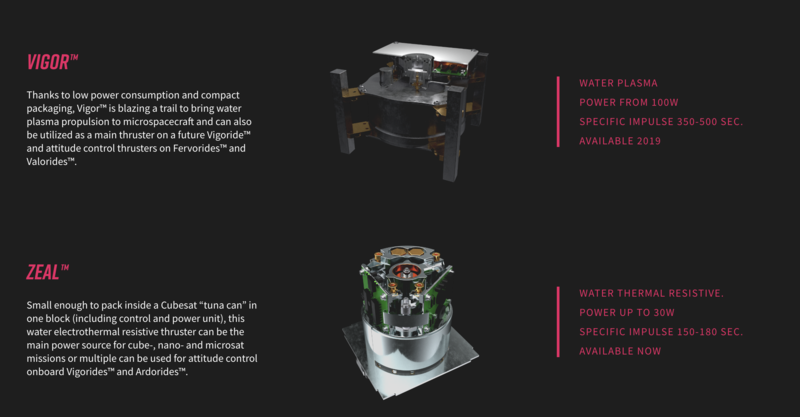 Some companies are trying to guide micro-satellites with technologies like Phase 4 which use ionized gases like Xenon, but according to Kokorich those are more expensive and slower. “When ionized propulsion is used for geostationary satellites to orbit, it takes months,” says Kokorich, using water can half the time. The company has already signed an agreement with ECM Space, a European launch services provider, which will provide the initial trip for the company’s first test of its propulsion system on a micro-satellite — slated for early 2019. That first product, “Zeal,” has specific impulses of 150 to 180 seconds and power up to 30 watts. Kokorich started his first business, Dauria, in the mid-90s amid the collapse of the Soviet Union, selling explosives and engineering services to mining companies in Siberia. Kokorich sold that business and went into retail, eventually building a network of stores that sold home goods and housewares across Russia. That raked in more millions for Kokorich, who then said he diversified into electronics by buying Russia’s BestBuy chain out bankruptcy. But space was never far from his mind, and, eventually he returned to it. That company, Dauria Aerospace, was initially feted by the government, garnering the entrepreneur a place in Skolkovo, and its inaugural cohort of space companies. In an announcement of the successes the space program had achieved in 2014 Kokorich co-authored a piece with the Russian cosmonaut Sergey Zhukov, who remains the executive director of the networking and aerospace programs at the multi-billion-dollar boondoggle startup incubator. 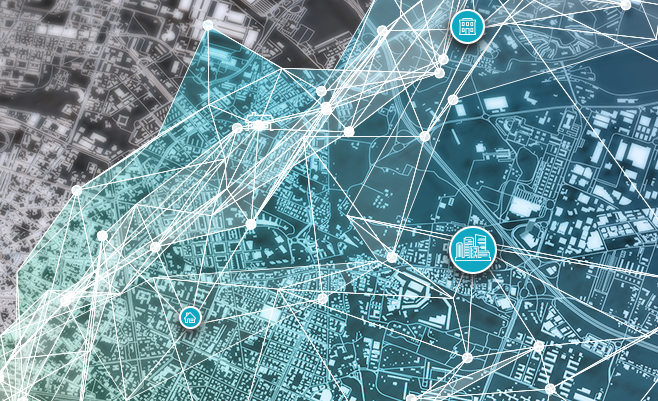 Utilis detects water leaks underground using satellite imagery. A few months later Kokorich would be in the U.S. working to back the first of what’s now a triumvirate of startups focused on space. For all of his protestations, Kokorich has maintained several economic ties with partners in Russia. It’s through an investment firm called Oden Holdings Ltd. that Kokorich took an investment stake in the Canadian company Helios Wire, which was one of his first forays into space entrepreneurship outside of Russia. That company makes cryptographically secured applications for the transmission and reception of data from internet-enabled devices. The second space company that the co-founder has built since moving to the U.S. is the satellite company Astra Digital, which processes data from satellites to make that information more accessible. Now, with Momentus, Kokorich is turning to the problem of propulsion. “When transportation costs decrease, many business models emerge” Kokorich says. And Kokorich sees Momentus’ propulsion technology driving down the costs of traveling further into space — opening up opportunities for new businesses like asteroid mining and lunar transit. The Momentus team is already thinking well beyond the initial launch. The company’s eyes are on a prize well beyond geostationary orbit. Indeed, with water as a power source, the company says it will lay the groundwork for future cislunar and interplanetary rides. 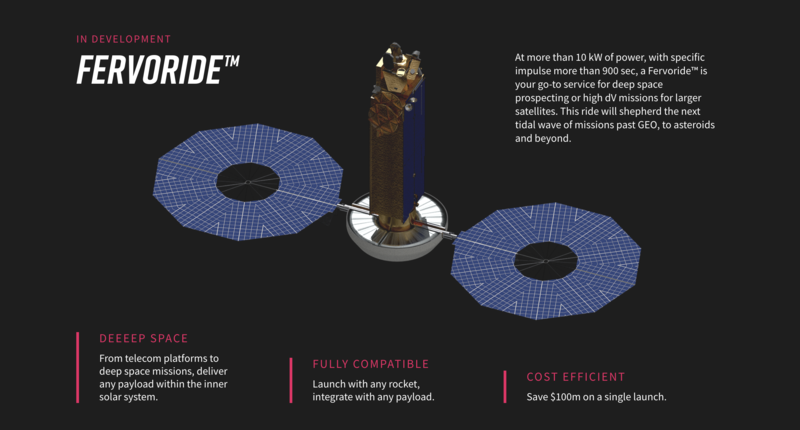 The company envisions a future where it will power water prospecting and delivery throughout the solar system, solar power stations, in-space manufacturing and space tourism.